Approx. 1 out of 3 girls and 1 out of 4 boys are sexually abused before the age of 18 – that’s 60 Million+ Americans! We’ve been featured on leading networks, such as: CNN, NBC, ABC and CBS. Our foundation is aligned with Johns Hopkins Bloomberg School of Public Health to find cutting edge solutions to prevention and treatment of CSA. We are dedicated to creating a network of support rooms specifically for Adult Survivors of Child Sexual Abuse, much like the immensely important network of support rooms, Alcoholics Anonymous (AA) and so many others, but with the addition of a trauma trained therapist to facilitate each recovery room. As a result, for the first time, adult survivors of CSA nationwide--and then globally--will have a local place to go and meet other adult survivors interested in recovery with the emotional safety and the direction of a skilled trauma trained therapist. This invaluable reality is long overdue for over 60 Million Americans today alone! We are determined to stop, finally, the current and widespread stigma of child sexual abuse held by the public at large toward this subject and to its victims, who have certainly been abused enough already. We will be launching a major publicity campaign to quash this stigma and to create a true understanding of this issue of pandemic proportions. This fundamentally much needed publicity campaign will also address the fact that all blame and shame begins and ends only with the perpetrator. The shame that victims of CSA feel, even though it should only be attributed to their perpetrators, is simply because they were children after all. Unfortunately, this shameful mindset is difficult to eliminate even in advanced adulthood. For victims of CSA to become survivors, they must let go of this shame, which can become a pivotal part of a survivor's recovery process. The stigma of child sexual abuse must be halted and replaced by its understanding in order for the recovery process to become that of any other health problem currently understood by society. Our founder, Peter S. Pelullo, an International Corporate CEO and author of his memoir, "Betrayal and the Beast" (One man's journey through childhood sexual abuse, sexual addiction and recovery), as an adult survivor himself, has taken the responsibility to form a global alliance consisting of similar organizations from several continents. The leaders of these various organizations are currently awaiting the successful blueprint of The Let Go... Let Peace Come in Foundation to model their own success going forward. We see no limitation. With the necessary funding we are confident we will receive, we see only great need and the realization of solutions. 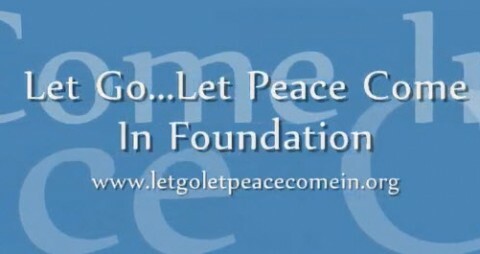 The Let Go...Let Peace Come Come In Foundation, which is a 501(c)(3) nonprofit organization, depends on your tax deductible support for all of our initiatives. Platinum, Gold & Silver Sponsorships and Donations by corporations, organizations and individuals are critical to our work. This is your opportunity to step up and contribute to the prevention of the horrific pandemic of child sexual abuse that continues to occur on a daily basis worldwide. With your generous support, together we can surely realize our mission and key initiatives, as indicated on our homepage.